MONTEBELLO – Bell Gardens High School teacher Elizabeth Lowe has been named one of just five California winners of the Advancement Via Individual Determination (AVID) Teacher Advocacy Award, an honor that recognizes exceptional AVID educators and comes with a $10,000 prize for expanding the program at her school. 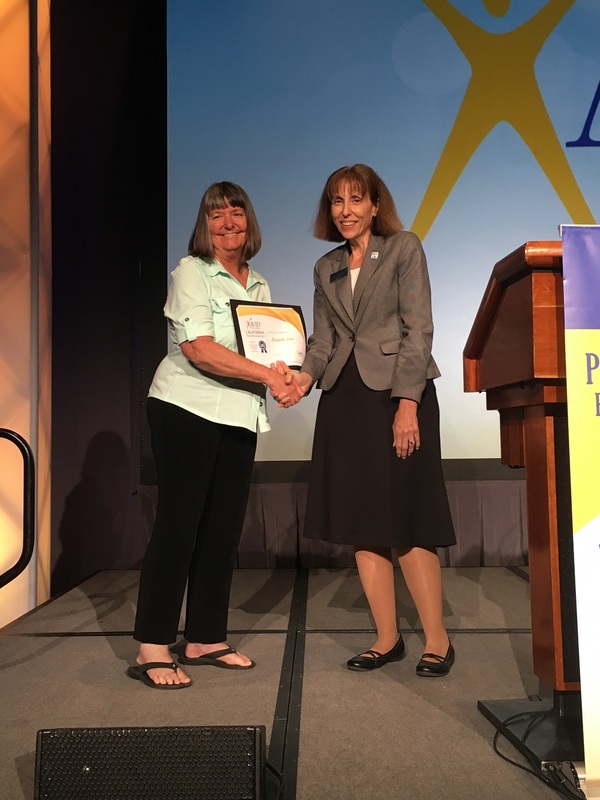 Lowe was honored in front of 3,000 educators on July 12 at the Sacramento Summer Institute, where winners were celebrated for showing leadership in supporting AVID’s mission to help all students become ready for college. AVID is a nonprofit, college-readiness system that works to increase the number of students who enroll in four-year colleges. Lowe coordinates the AVID program for Bell Gardens High, overseeing 650 students, seven teachers and all course sections that make up the curriculum. Many of her contributions happen behind the scenes as she supports the system’s educators and ensures there are no barriers when it comes to student success. The Teacher Advocacy Award was established in 2013 by an anonymous donor who wanted to give back to educators in California, especially those who work with the AVID program. All recipients of the honor are nominated by colleagues and are given two years to use the funds for use in advancing their school’s AVID program. Among Lowe’s early ideas for the money are new signs at the school promoting college and a mural to symbolize that Bell Gardens High is a burgeoning college-preparatory campus. Lowe’s teaching and guidance practices have been recognized throughout the District, with Superintendent Susanna Contreras Smith commending Lowe’s dedication to always helping students achieve their higher education goals. 080816_MUSD_AVID: Bell Gardens High geoscience teacher Elizabeth Lowe, left, accepts her certificate for the Teacher Advocacy Award from AVID’s California Division Assistant Director Gail Shenkman at the Sacramento Summer Institute on July 12. Lowe is one of five California AVID educators awarded $10,000 for AVID implementation and growth at their schools.